The Midlands soul sensations known as the Stone Foundation are touring the UK, and their Newcastle date at The Cluny on Thursday 18th May promises to be a very special show indeed. 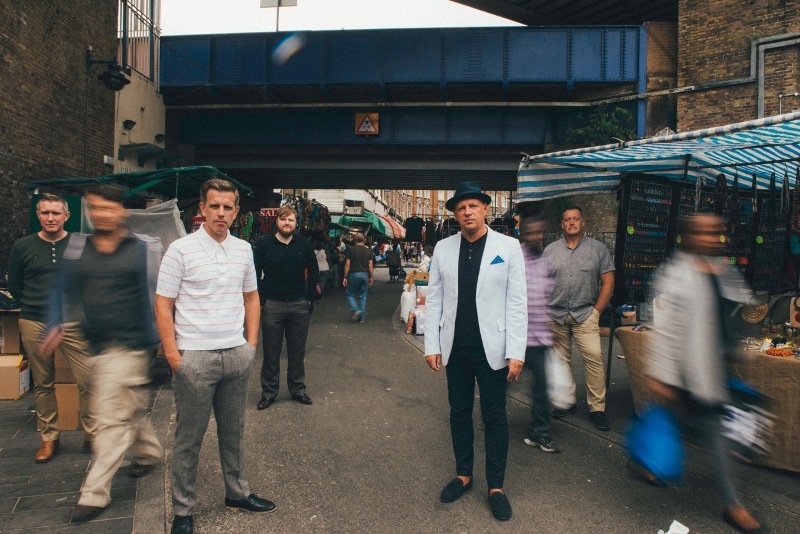 With the release of their latest record Street Rituals in March, the band saw the culmination of years of hard work paying off as they continued to develop their unique style of soul on a much broader scale. Subtle horn and string arrangements added glorious swathes of colour and light to a new collection of songs that are unquestionably the group’s strongest to date. Thought provoking lyrics reflect current issues of uncertainty and division, but balance that with a sense of hope and optimism within their musical delivery. This social conscience attracted a high profile fan to get in touch, with Street Rituals finding Paul Weller playing, singing and producing the record. When speaking of Stone Foundation, Weller said: “These are dark, dark times so I was glad to hear a positive voice and vibrations in the words and a joy in the music.” An impressive stamp of approval for sure, and Weller’s contribution to lead single Your Balloon is Rising added a distinctive element to an already smooth and sultry number. Stone Foundation play The Cluny, Newcastle on Thursday 18th May.